Mr Julio Dawkins is a Business Development Specialist who currently serves as a consultant to Healthline Pharmacy & Nutritionals, Devine Miracle Enterprise and Commercial Concepts. He has been very instrumental in the development of companies by stream lining their business processes and increasing their net worth and net profit. As the past Managing Director of Winchester Global Pharmacy he led the initiative to renovate the store which resulted in increased sales, he also launched their website & introduced them to digital marketing. He was also responsible for the creation and management of accounting policies & procedures. He was a lecturer at the Portmore Community College and currently lectures at the Caribbean School of Medical Sciences where he focused on Statistical & Market Research. Julio is a past student of the Calabar High School and currently participates in their Mentorship Programme as a Calabar Old Boy. 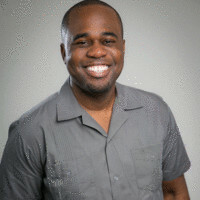 He holds a Bachelor of Science in Economics & Statistics from the University of the West Indies, Mona, a Post Graduate Diploma in Business Administration and a Master of Business specializing in International Business & Marketing from the Mona School of Business. Mr Dawkins was inducted as a member of the Rotary Club of New Kingston on August 24, 2018. His sponsor is the current Vice President (2018/19) Travis Graham.